It’s a fact – next to non-melanoma skin cancer, prostate cancer is the most common form of cancer among men in North America. What isn’t always as clear – at least to patients – is how to treat the disease when it is first diagnosed. 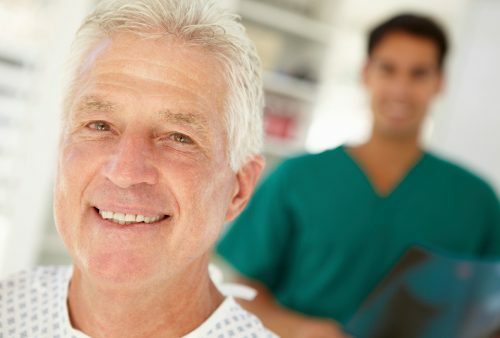 In the past, there has been a lot of debate over the correct approach to prostate cancer. Today, research shows that when the pros and cons of cancer treatment are more thoroughly and carefully explained to patients, more and more patients are choosing to simply monitor their prostate cancer, as opposed to jumping into aggressive therapy. Researchers at Thomas Jefferson University developed an online interactive program to help prostate cancer patients make treatment decisions based on the most up-to-date medical information. The program called “Decision Counseling Program”, or DCP, arms patients with treatment data and preferences to discuss with their doctors. Patients are shown a printed summary of questions according to treatment type. Some of the questions include: What treatment option is best for long-term survival? What are the side effects? etc. The patient then identifies three top reasons he may or may not want to explore active surveillance of the disease. This is done with the assistance of a nurse. The reasons are ranked in importance and the nurse enters them into the online program, thus generating a summary report for the patient to read. The report gives a clear view of the patient’s preference for active surveillance of prostate cancer verses aggressive treatment. Patients are free to use the report when visiting with their urologist, radiologist or other medical specialists. The researchers tested the program on 23 low-risk prostate cancer patients. Following the DCP sessions, 83 percent of patients decided to go with active surveillance instead of aggressive cancer treatment. Patients reported feeling more confident in their decision, because they were more knowledgeable. Interestingly, a study published in the New England Journal of Medicine indicates that mortality rates for early stage prostate cancer appear to be the same for men who choose active surveillance verses immediate surgery. The research suggests that in low-risk prostate cancer, aggressive treatment may not offer long-term survival benefits, yet has been linked with a number of unpleasant side effects, including urinary incontinence and sexual problems. Active surveillance simply means that you and your doctor keep an eye on your symptoms. It also calls for regular blood tests, rectal exams, as well as biopsies to monitor the progress of the cancer. If the cancer is in fact progressing, you may then decide to get treatment. It is important to note that in the early stages of prostate cancer, there are generally no symptoms. Many men discover they have early-stage prostate problems during routine examinations. It is also worth noting that one of the risks of choosing active surveillance is that the cancer may grow and spread between check-ups, which can make it less likely to cure. As many physicians point out, the key is to maintain those check-ups and watch for any changes in symptoms.